100% LOCALLY OWNED AND OPERATED. OVER 25 YEARS OF EXPERIENCE. TOP TYRE BRANDS. SOME OF THE BEST TECHNOLOGY IN LOWER NORTH ISLAND. 100% INDEPENDENT. DROP IN AND SEE HUSBAND AND WIFE TEAM, BROOKE AND VERONICA SEYMOUR TO DISCUSS YOUR TYRE AND ALIGNMENT NEEDS. Family, SUV, 4x4, Luxury, Muscle, Small, Sports, Commercial, Hot Rod, Race, Van, etc. 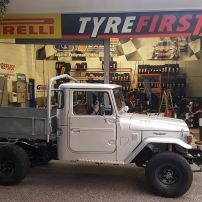 TYRES FOR ALL VEHICLE'S AND BUDGETS AT TYREFIRST WAIKANAE. GT Radial, Cooper Tire, Kuhmo, Pirelli, Continental, Hankook, Bridgestone, Nexen, Nitto, Falken, Federal, Firestone, Toyo plus heaps more tyre brands. ALL TYRE PRICES WILL INCLUDE FITMENT/BALANCE/VALVE REPLACEMENT /RESPONSIBLE TYRE DISPOSAL FEE AND GST. 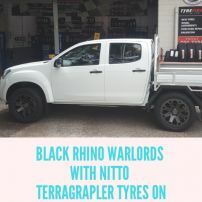 commented on "Please feel free to donate to this great event and help make zero deaths from Breast cancer a reality ..."
commented on "THIS APRIL GET YOUR FREE WHEELS WITH ANY FULL SET OF S/T MAX OR STT PRO COOPER TYRES....LIMITED STOCK SO GET IN QUICK"
commented on "WE ARE YOU LOCAL AUTHORISED COOPER TIRE RETAILER"
commented on "FALKEN TYRES AVAILABLE "